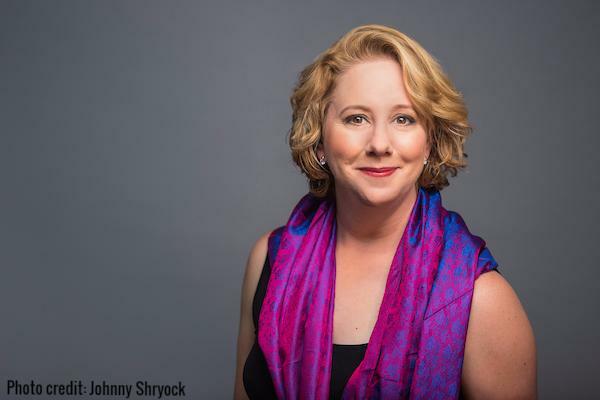 DEBORAH STERNBERG, described by critics as a “spine-tingling soprano” (Ben Demers, DC Theatre Scene), is praised for her flexibility, stage presence, and radiance of tone. Recent performances include art songs of Lili and Nadia Boulanger with Cantate Chamber Singers and Washington Master Chorale respectively; a duet recital of the story of Orpheus with a new chamber ensemble; featured soloist with the National Symphony Orchestra’s Play! Video Game Symphony show at Wolf Trap Theatre; and recitals for the Friday Morning Music Club. In 2010 she was the featured soloist in works by Benjamin Britten and Maurice Saylor during the Cantate Chamber Singers’ performance on WETA-FM’s Front Row Washington program. In the summer of 2012, Ms.Sternberg premiered the role of Piney in Andrew E. Simpson’s opera The Outcasts of Poker Flat, which was presented at the Capital Fringe Festival and the Kennedy Center Page-to-Stage Festival. Ms. Sternberg is a winner of the 2007 state competitions of the National Association of Teachers of Singing and has been featured as a soloist on recordings of the Cathedral Choral Society, Cantate Chamber Singers, and the St. Catherine of Siena Choir. In March, 2013, Ms.Sternberg sang the live music to the screening of the 1923-silent film "The Hunchback of Notre Dame" at the American Film Institute in Maryland, composed by the great Gabriel Thibaudeau and arranged for soprano, theatre organ, and violin. She has appeared as soloist with the Fairfax Symphony, and on the Kennedy Center concert stage in Der Rosenkavalier with Renee Fleming in March, 2014. Recently, she was the Mozart Requiem soprano soloist with Cantate Chamber Singers. Her first full-length CD, The Avian Project, features new music written for Soprano and will be released in 2015. Ms.Sternberg's teachers include Bonnie Kunkel, Maureen Budway (Duquesne University), Linda Mabbs (University of Maryland), and James MacDonald (University of Maryland); and has coached with Robert Shafer, Evelyn Lear, Robert Baker, and Tom Caruso.